Dancers with Camden Sophisticated Sisters hold signs at Whitman Square Park, Tuesday, April 18, 2018, during the Camden City March Against Gun Violence. 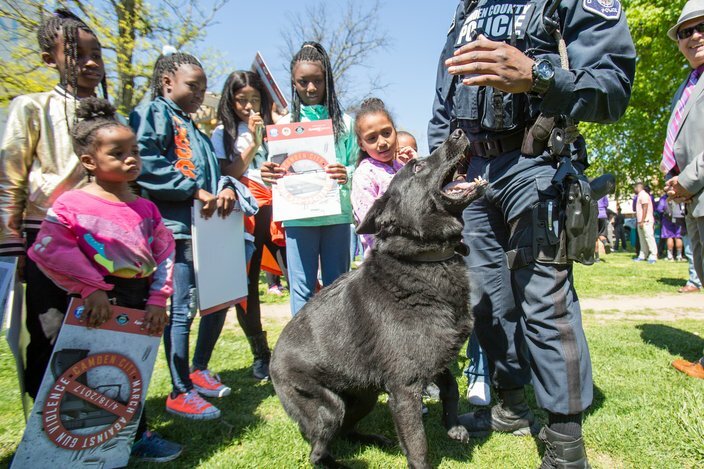 Dozens marched Tuesday from Bonsall Elementary School in Camden to Whitman Square Park to fight gun violence in their city. 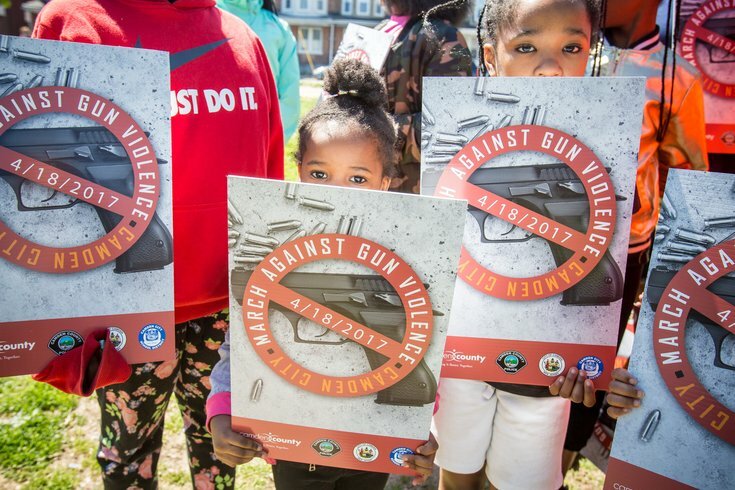 During the Camden City March Against Gun Violence, officials spoke about how the problem has plagued the city for years. 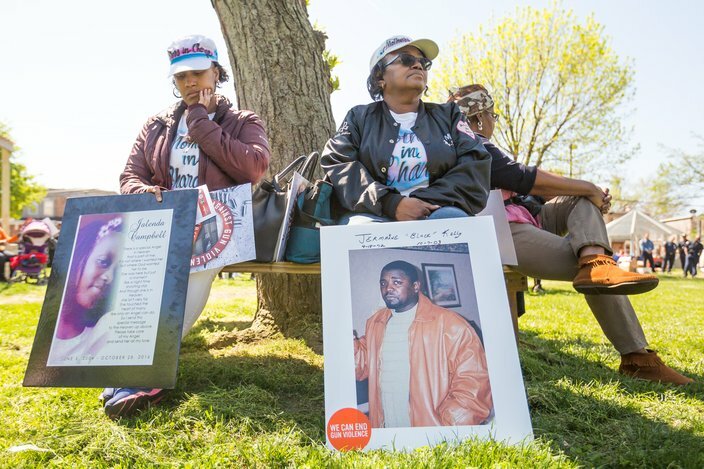 The tone was serious but optimistic as Camden has seen just two homicides since mid-December, according to Camden County spokesman Dan Keashen. 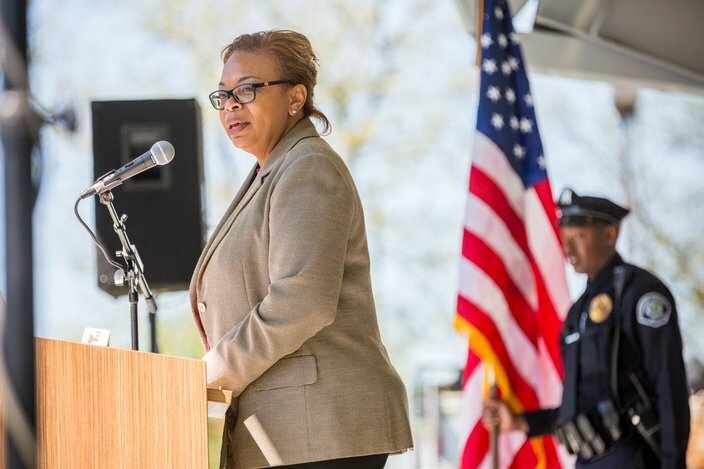 The National Rifle Association's lobbying efforts for gun rights play a critical role in the abundance of firearms in the hands of the American people, noted Camden Mayor Dana Redd. She emphasized the important role of the community to speak up and report gun violence. The Camden Sophisticated Sisters group joined in the march. Isha and Valerie Harris hold signs to honor their relatives, 12-year-old Jalinda Campbell and Jermaine Kelly, who were both killed by guns. 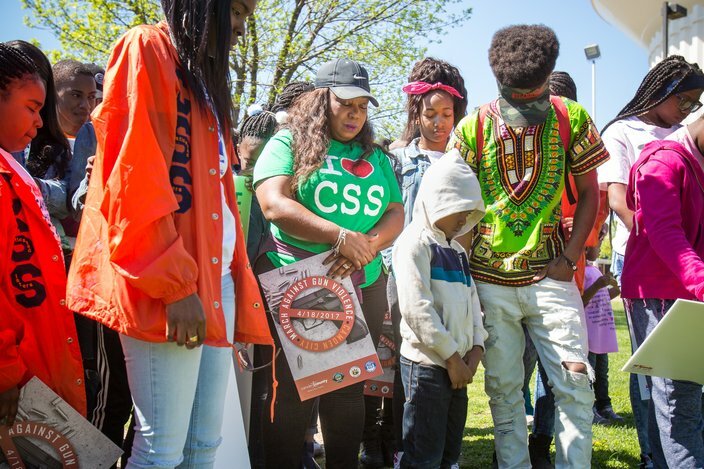 Tawanda Jones, center in green shirt, founder of Camden Sophisticated Sisters, bows her head in prayer as participants in the Camden City March Against Gun Violence gather in Whitman Square Park on Tuesday, April 18, 2018. 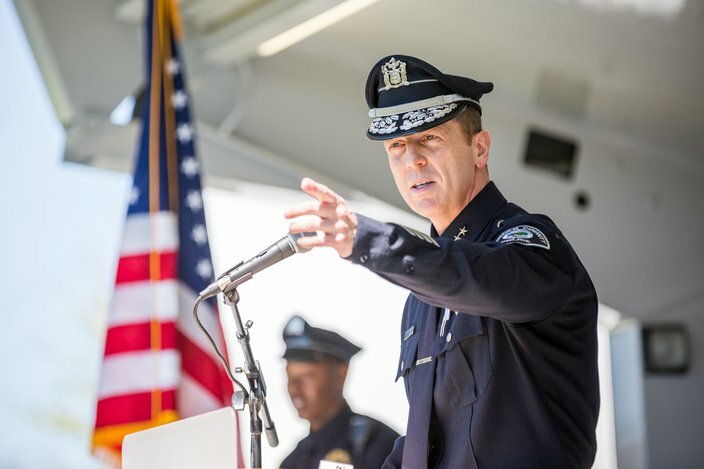 Camden County police Chief J. Scott Thomson points and recognizes Camden High School track team athletes in attendance during his speech at the Camden City March Against Gun Violence on Tuesday, April 18, 2017, in Camden.